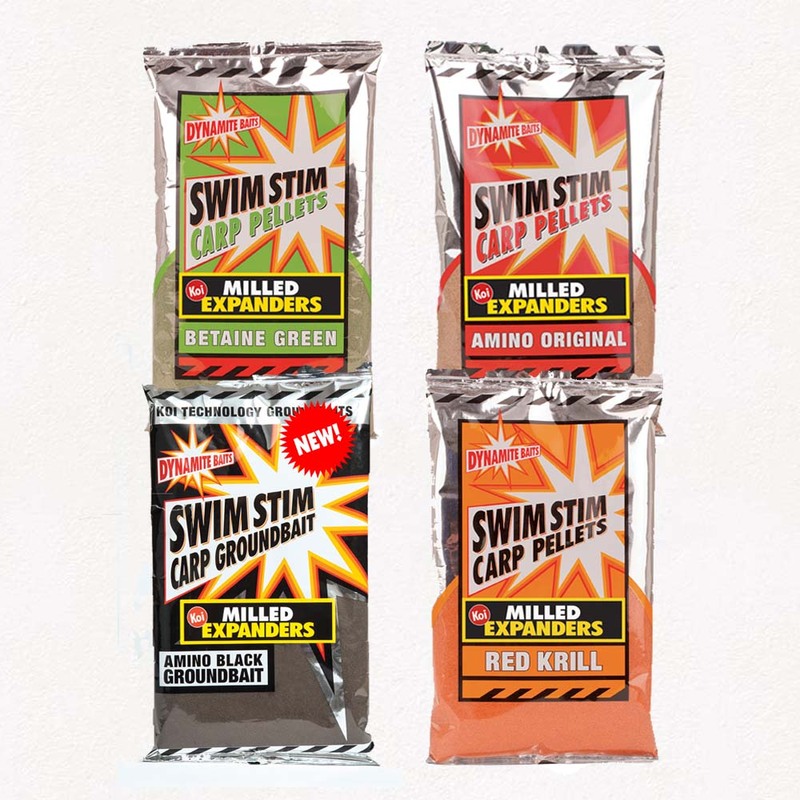 Anglers can expect to keep bites coming through the cooler months with the launch of two new groundbaits and a liquid designed for fishing commercial and natural venues for F1’s, carp and silverfish. 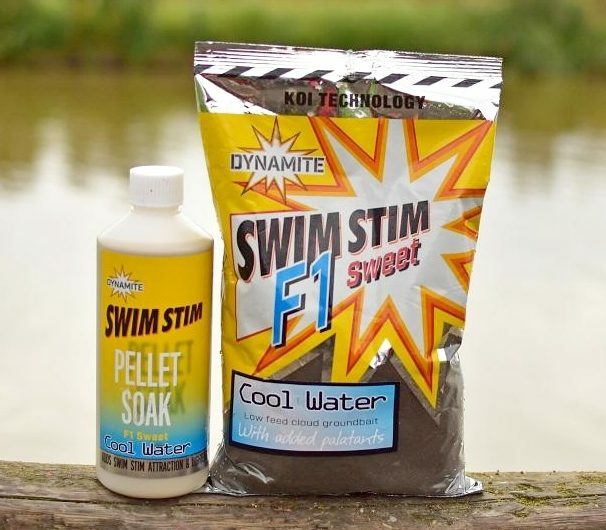 Following the success of the F1 Sweet range of top match fishing products earlier in the year, the new F1 Sweet Cool Water range contains a groundbait and Pellet Soak and is a cold weather, more subtle version of the original F1 Sweet. The groundbait is a darker mix suited to clear conditions often found during the winter while the Pellet Soak is designed to flavour and lighten fishery own pellets or expanders for a washed out ‘safer’ look to fool wary fish. Both are available to buy in tackle shops now. You can find your local stockist using our Store Finder. Watch the video and find out more about this great product..
On top of the new F1 Sweet products the new Milled Expander Amino Black is an extension to the SwimStim Milled Expander range of groundbait. This fine mix can be used alone or added to other mixes to darken them and lower the feed value. Its dark colour and active particles are therefore ideal for winter use on a variety of venues and for all species including wary silvers!